With just a few hours to go until the world’s most popular sporting event kicks off, dramatic events before 32 teams even arrived in Brazil have been making headlines. 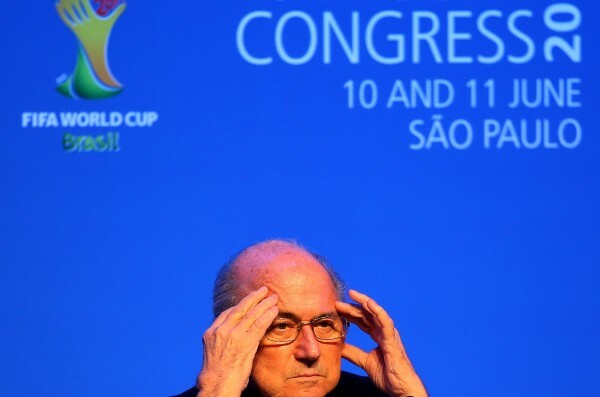 Between football players on strike, injuries knocking top players from their squads, the anticipation for the FIFA 2014 World Cup in Brazil has been mounting. For the Cameroon team, it was almost a no-show in Brazil. The Cameroon squad, which is scheduled to play Mexico in their first game in Group A on Friday, refused to board a plane to Brazil until a wage dispute was settled. The Cameroon Lions, including star player Samuel Eto’o, had argued that the $104,000 they were to be paid for the duration of the tournament was not enough. The dispute was settled earlier this week after their national football association agreed to pay an additional $12,000. It wasn’t the best pre-match start for the German squad, either, when their star midfielder Marco Reus twisted his ankle in a friendly match with Armenia last week. The stalwart Germans won 6-1 but coach Joachim Low now is likely to replace Reus with Shkodran Mustafi. Germany (Group G) goes into the World Cup matches also without favourites Ilkay Gundogan, due to back injuries; Lars Bender, out from a thigh mishap; and Holger Badstuber who suffers from a ligament injury. Their first game on June 16 is with Portugal, who earlier this week confirmed that world football icon Christiano Ronaldo will join the team as striker. But there are fears that he may not be in top shape, having suffered a number of injuries in the past few months. Group C’s Colombia also go into the matches with a critical man out – star player Radamel Falcao (not to be confused with the great Brazilian Falcao from that team’s 1982 squad) who suffered a damaging ligament injury six months ago. France, who will play their first game in Group E against Honduras on Sunday, will be without another world famous footballer – Franck Ribery. As luck would have it, he suffered a back injury just six days shy of the tournament. Meanwhile, England arrived in Brazil without Arsenal veteran Theo Walcott who was knocked out of competition due to a ruptured anterior cruciate ligament – a common injury this season. England, which is set to play giants Italy in Group D on Saturday, is also without Kyle Walker and Andros Townsend. 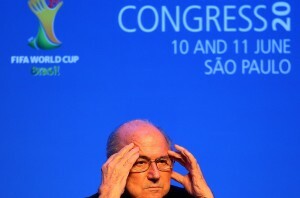 FIFA chief Sepp Blatter blamed the lengthy and intense European round of championships for the large number of injuries. Speaking from Sao Paulo, host to the opening match between Group A’s Brazil and Croatia today at 4pm Eastern Standard Time, Blatter said that many of the same players in the European games are also participating in Brazil this month. He said many players suffered from “tiredness”. But the World Cup will nevertheless deliver on the excitement it richly deserves – and the historic firsts each four years. This year, the Brazil World Cup marks a first for Bosnia and Herzegovina which against all odds made it past the qualifying rounds into Group F.
It will likely face a battle royale against two-time champions Argentina, African lions Nigeria and Asian kings Iran. Bosnia, ranked 25th globally by FIFA, starts its opening match against Argentina in Rio De Janeiro on Sunday. Another technical first for Brazil will be FIFA’s debut of detection hardware manufactured by GoalControl – a German company – that will be able to identify with pinpoint accuracy if and when a ball crosses the goal line.